If you’re extract brewing or even thinking about it, you’ve probably asked yourself something along the lines of: What is the differences between Dry Malt Extract and Liquid Malt Extract. Which is better? Hopefully, I can shed some light on that for you! 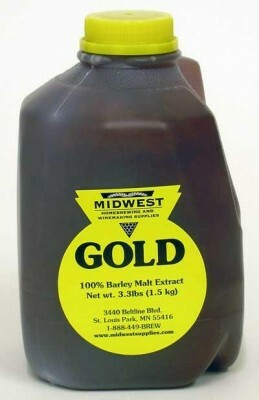 LME is a thick liquid, almost like a syrup. Because it’s thick like a syrup, it can be difficult to get it out of it’s container. My tip, is to pre-heat your LME so it thins out and pours easier. Liquid Malt Extract can be a pain to clean if you spill it, especially if you don’t clean it right away. I know from first hand experience, that it can get really sticky on counters or floors and requires a little bit of elbow grease to clean. It has a shelf life of about two years, however, the fresher the better. Older LME can do some damage to your beer by producing off flavors and tastes. DME is essential identical to LME except for one key feature, DME comes in powder form. It’s extract that has been reduced to just 2% moisture. Some brewers think it’s easier to use because it just falls out of the bag. However, others complain that it’s more of a pain because it will stick to the bag it comes in, if you’re pouring it over a hot, steamy pot of wort. The steam makes it stick to the bag. An easy solution for that, is to pour it first into a big bowl, then pour it from the bowl into your brew pot. Sometimes DME can also clump together and not get completely saturated. Since it’s a powder, DME is a lot easier to clean up than a syrupy liquid. It’s also a lot easier to store. You can just separate it into different bags store the bags for later brew days. The two big things that DME have going against it, is that it is generally more expensive (although you need a little less) and there are fewer types of DME available. On a side note, four pounds of DME is equal to five pounds of LME. This will become really useful when you’re following recipes that call for DME and you only have LME, or even when you’re making your own beer recipes. 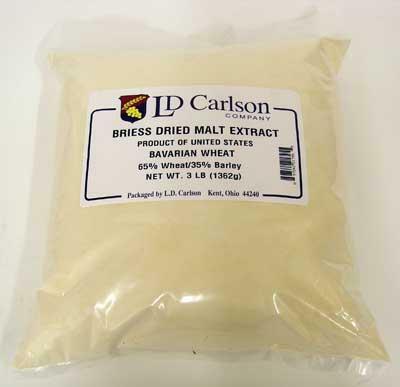 Overall, Dry Malt Extract and Liquid Malt extract are more alike than they are different. You should get similar results with both and many home brewers say that they can’t see, smell or taste the difference. Both forms have different pros and cons, so you have to see what works best for you. If you found this article, keep tabs with us via Facebook and Twitter for more informative and hopefully helpful articles about home brewing. Previous article Bottles For Home Brewing?